The striking use of steel and glass in this Neptune home office desk not only gives it a strong, contemporary look, but means it can be used in spaces where more conventional desks might struggle to fit in. Its non-intrusive appearance helps it to blend with all types of furniture and into any surroundings. 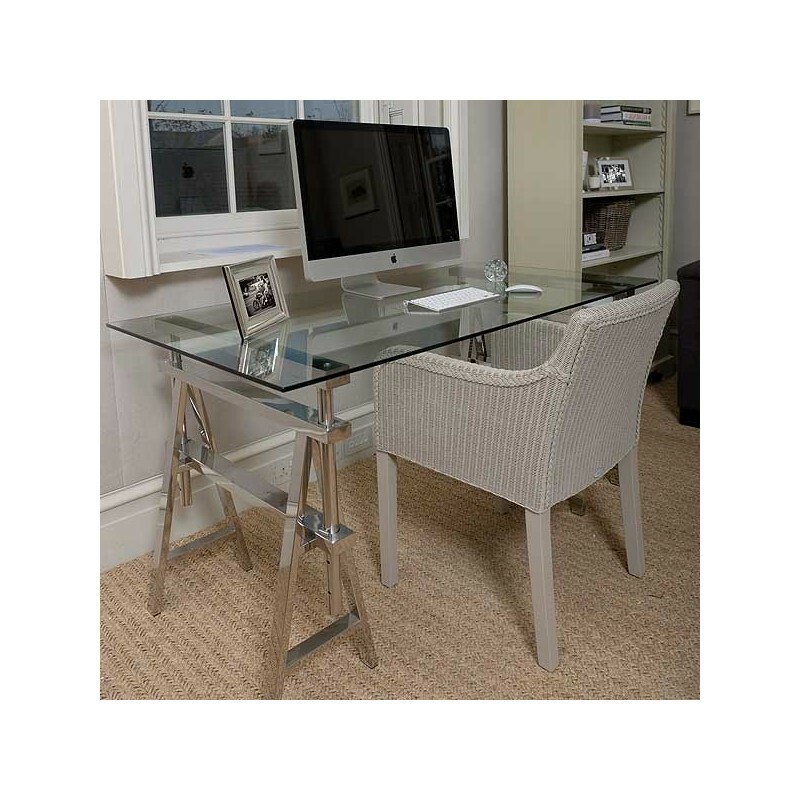 The desk, has a 12mm tempered glass top and adjustable polished stainless steel trestles.